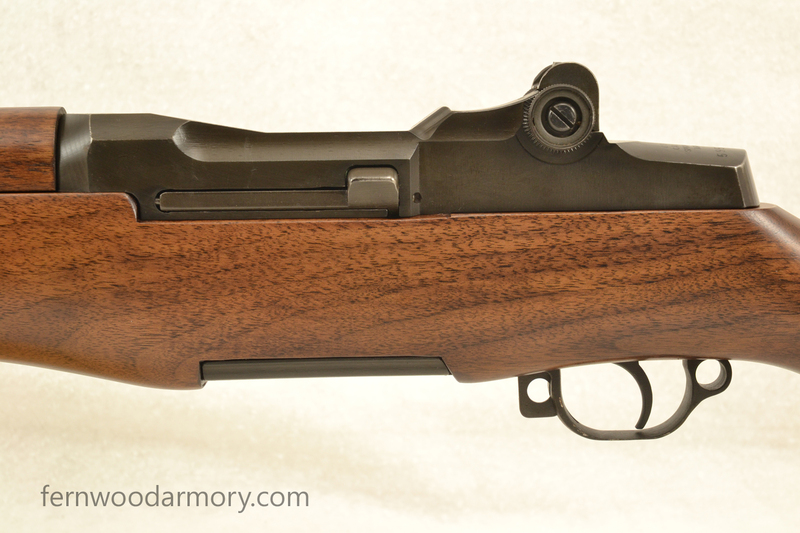 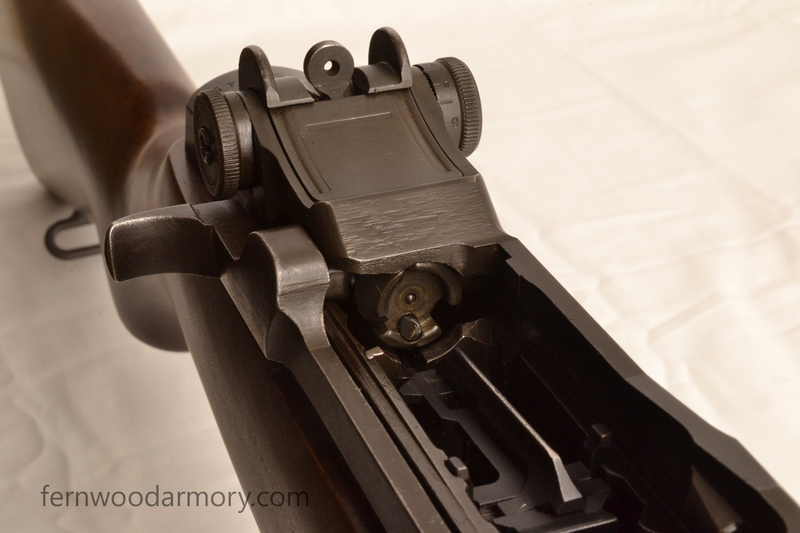 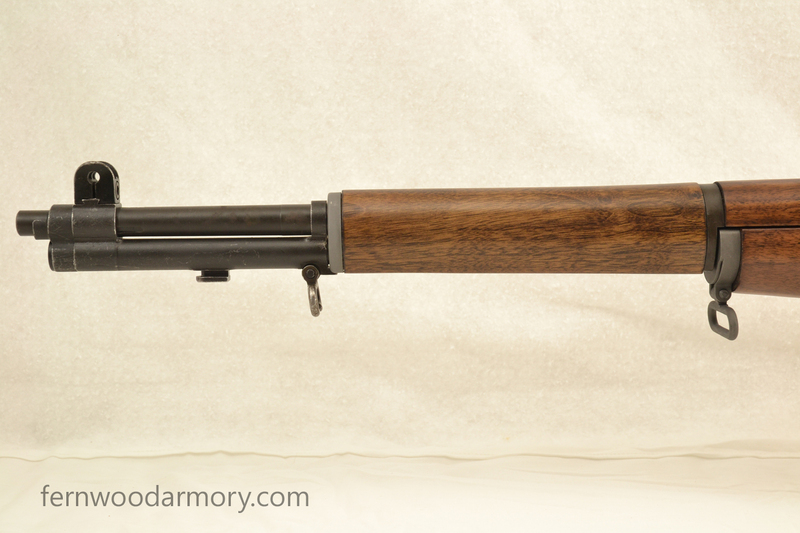 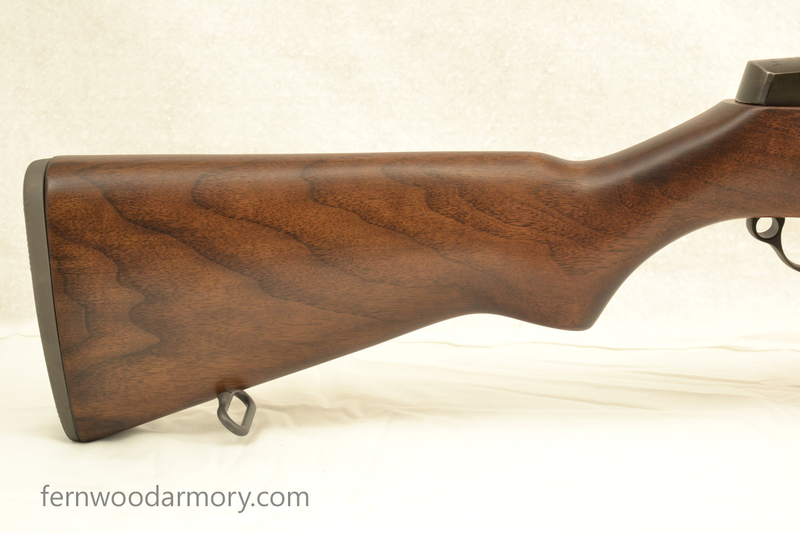 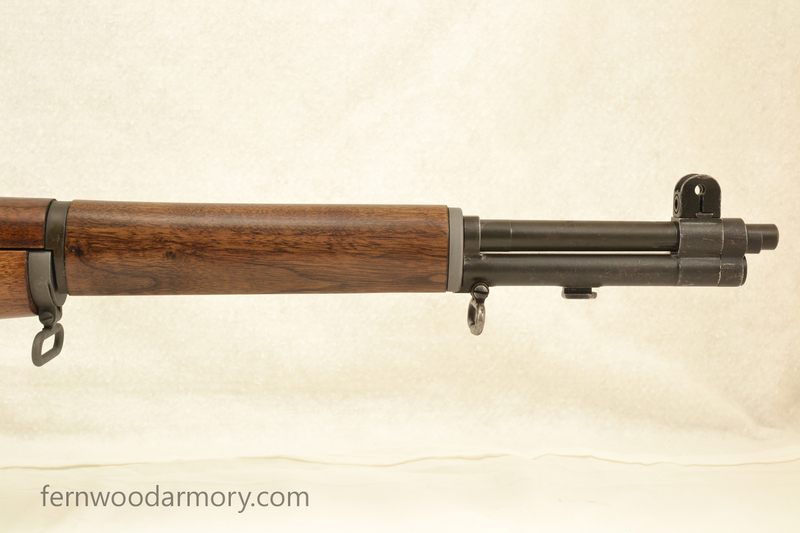 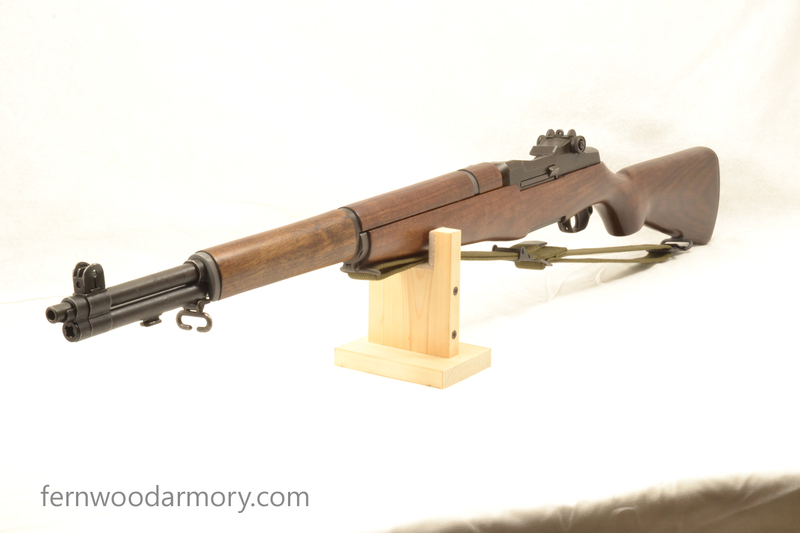 Late production Springfield Armory M1 Garand. 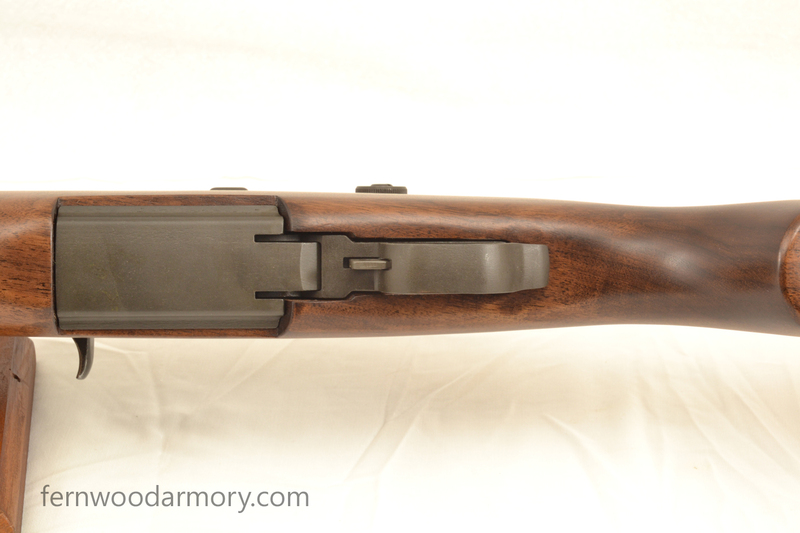 Serial number 5952645, dates to about 1956. 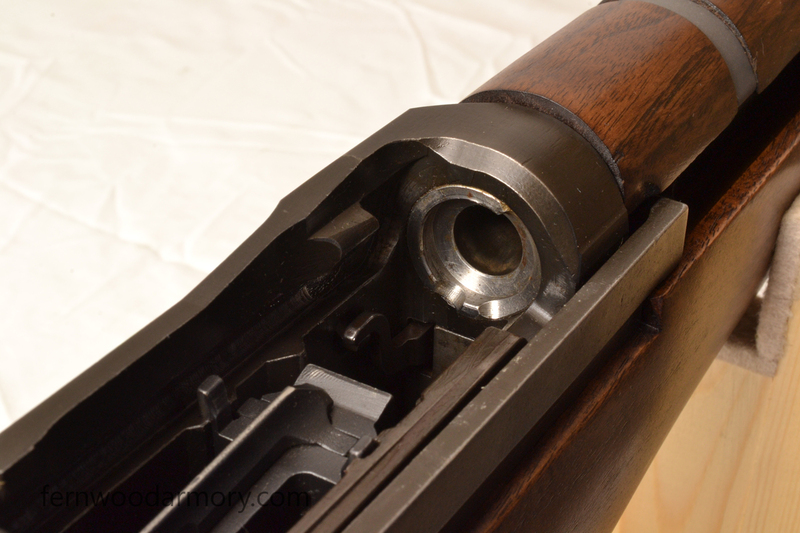 SA 12-55 barrel with bright bore and excellent gauge numbers. 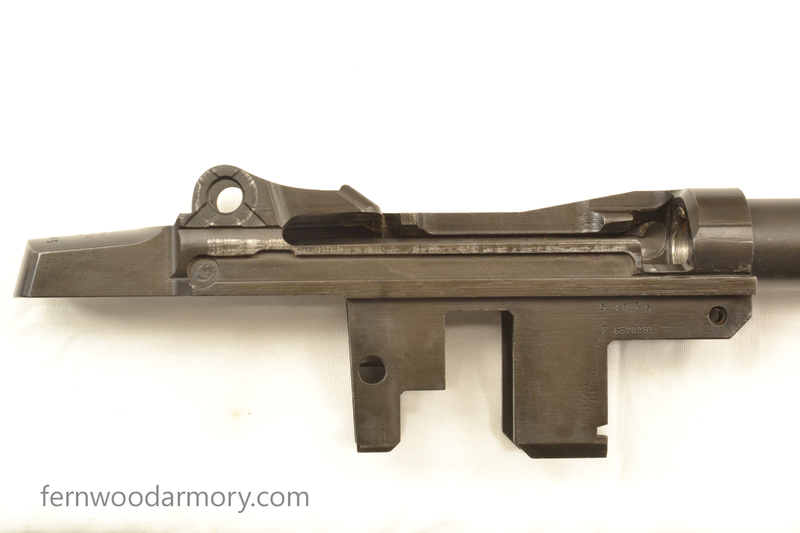 No import marks. 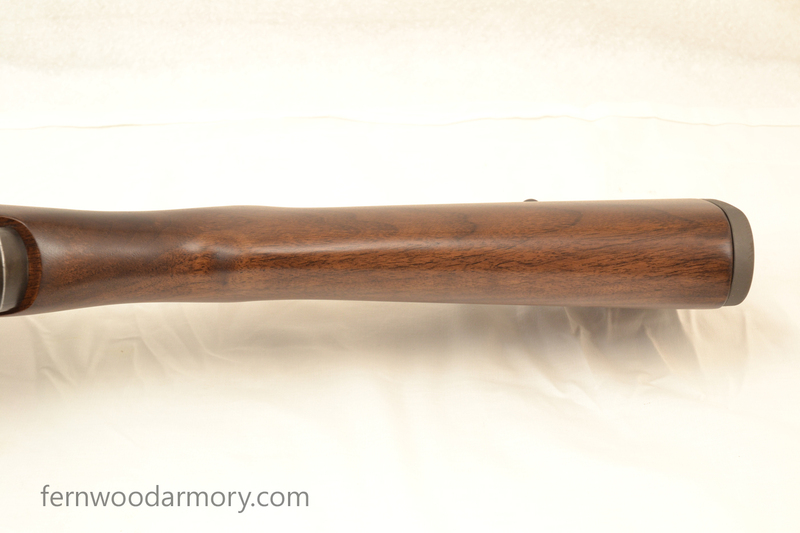 This rifle is in excellent used condition. 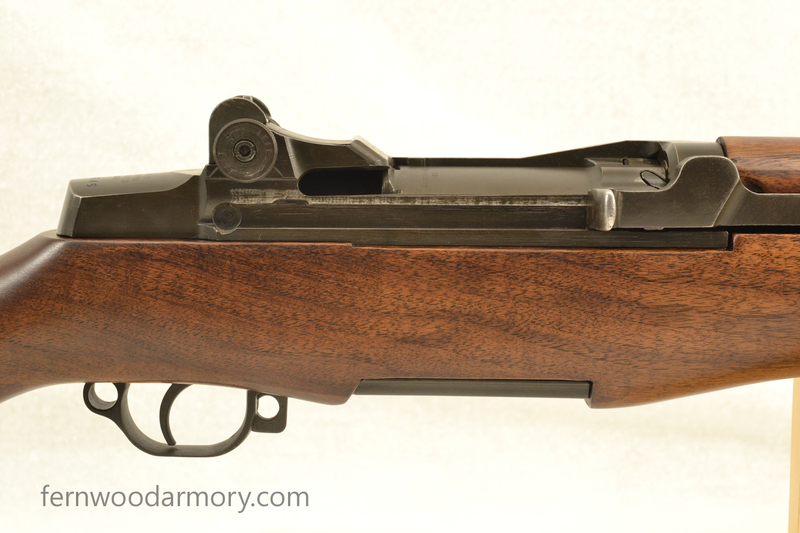 The barrel and receiver appear to have original finish, and are in nearly new condition. 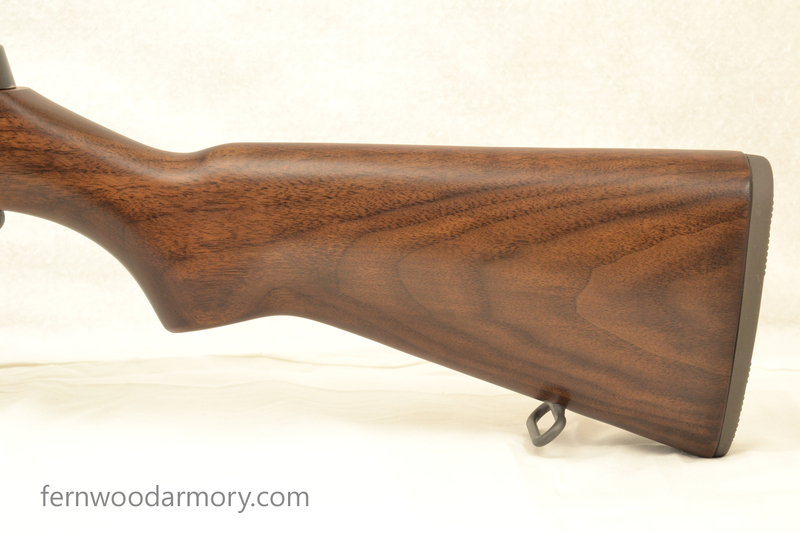 Stock is new walnut. 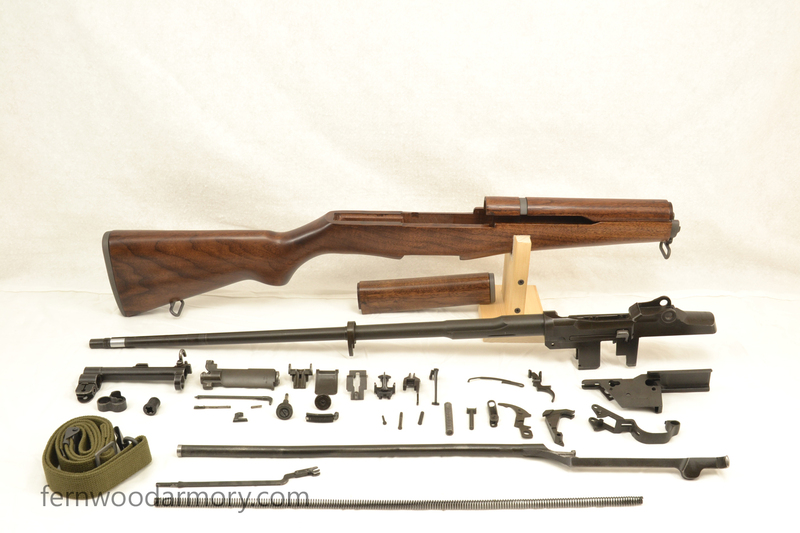 The rifle has been disassembled, cleaned, lubricated, and test fired. 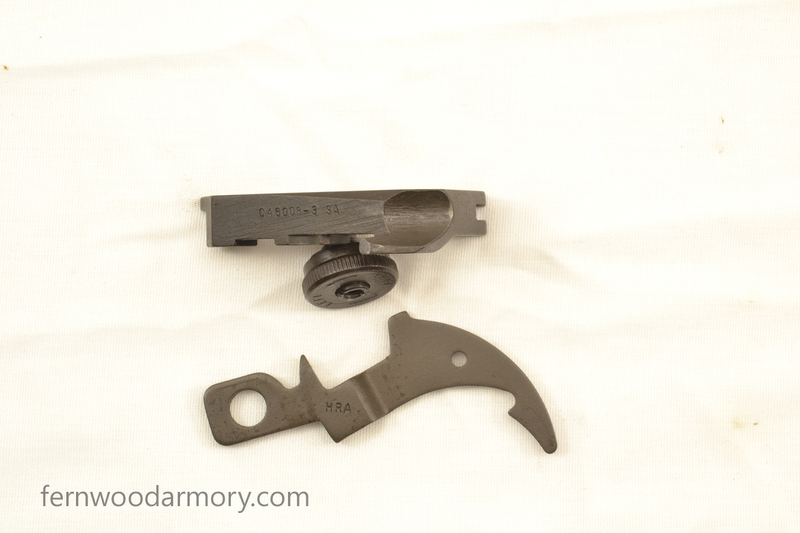 Parts were clean for photos, coated with oil and greased where appropriate when reassembled. 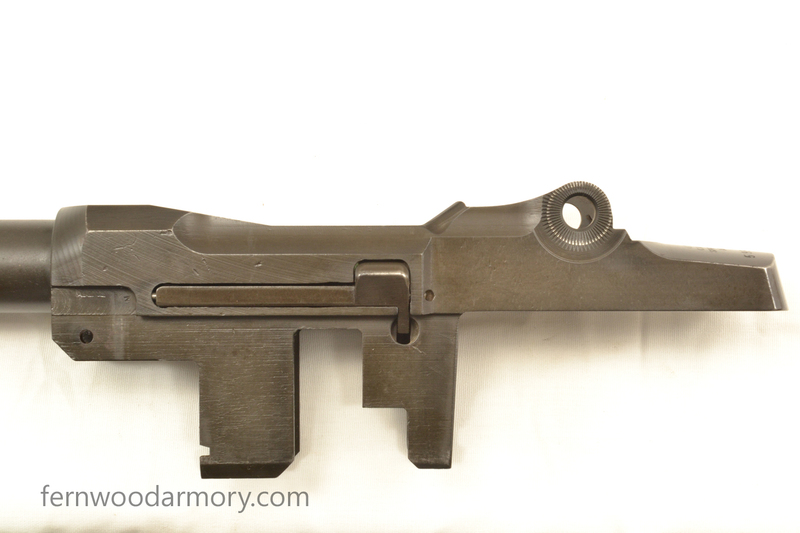 Included: 2 M1 Enbloc Clips (no ammo) and new repro sling. 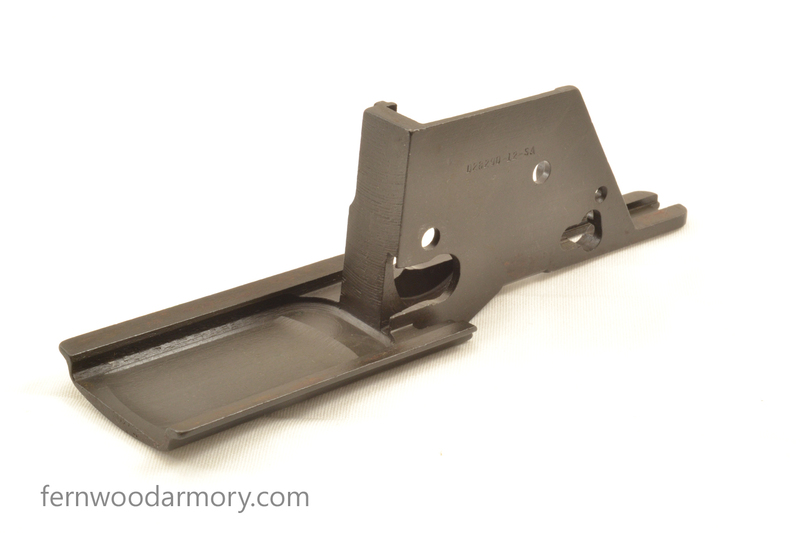 Receiver: marked “D 28291” on leg, heat lot 54875, no pitting, original finish very good with a little wear at corners. 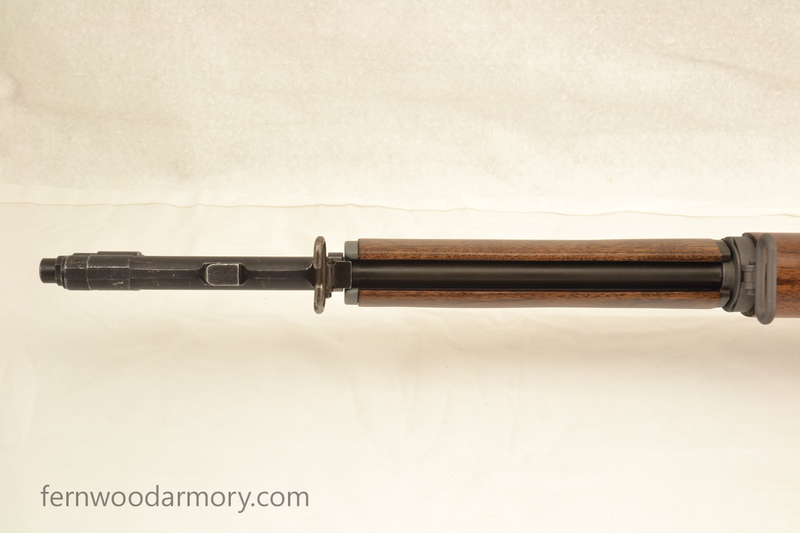 Marked on top with serial number and “U.S. 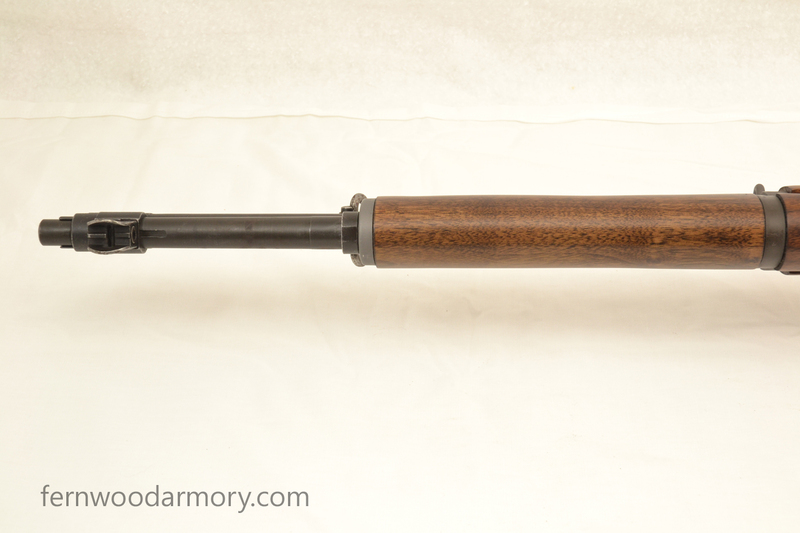 RIFLE CAL. 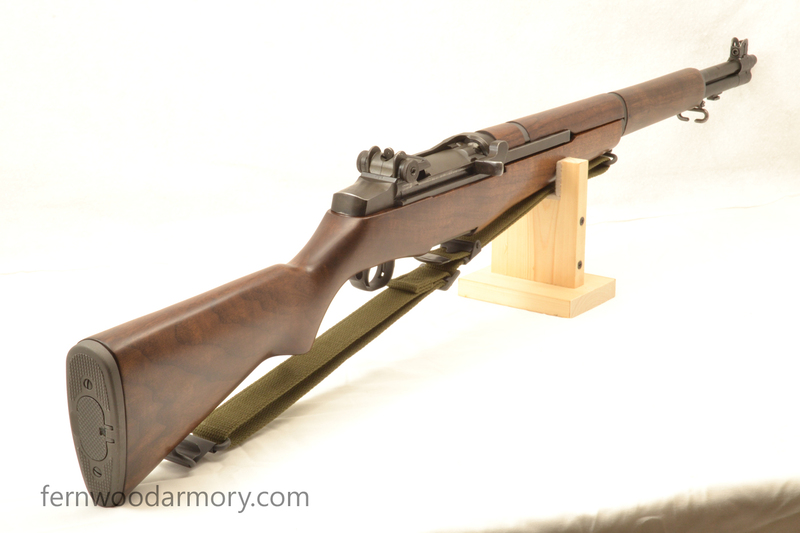 30 M1 SPRINGFIELD ARMORY”. 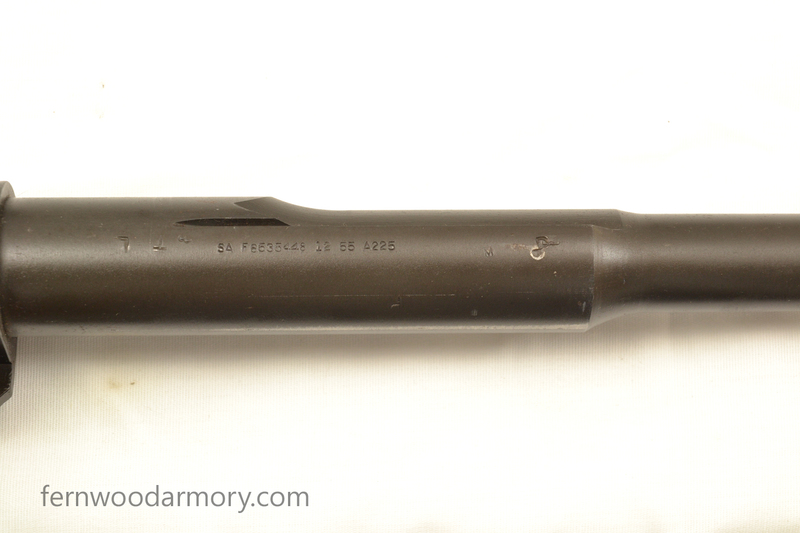 Barrel: marked “SA F6535448 12 55 A225” with “P”, “M” and punch mark and misc. 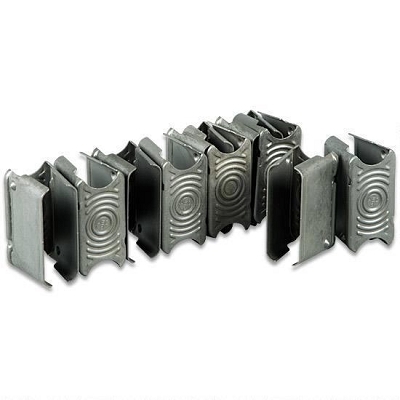 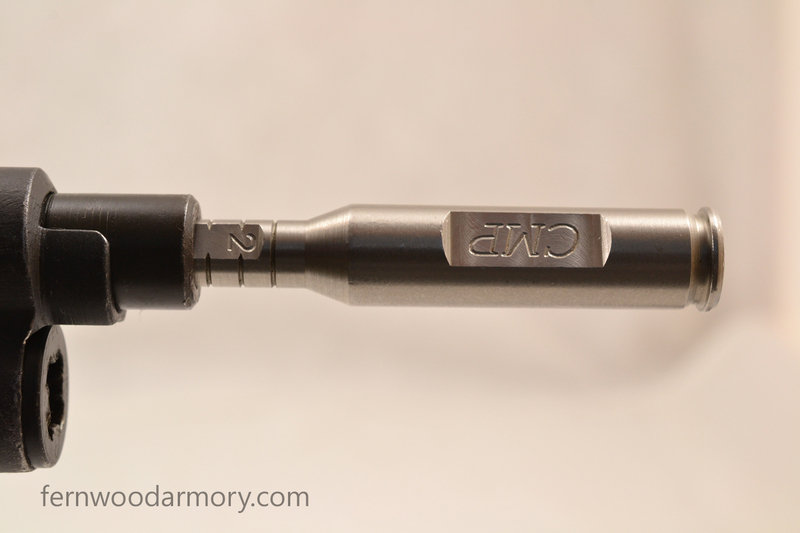 letters in op rod slot. 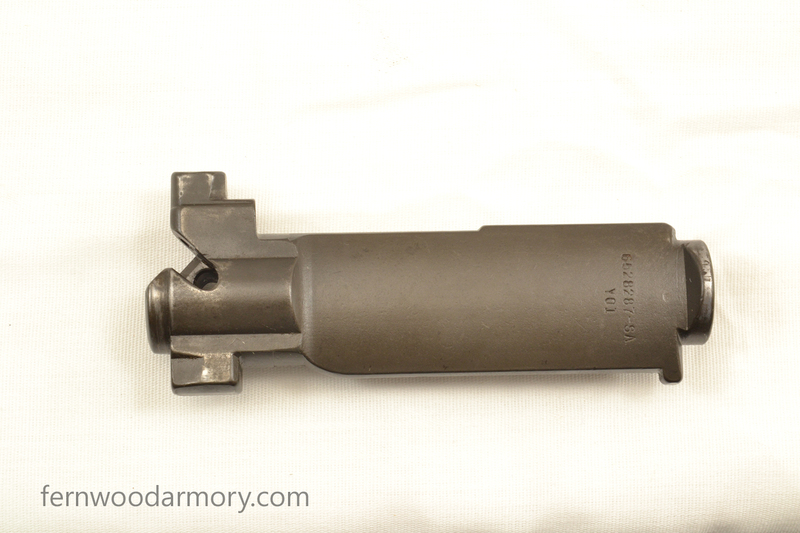 Very likely original to the receiver. 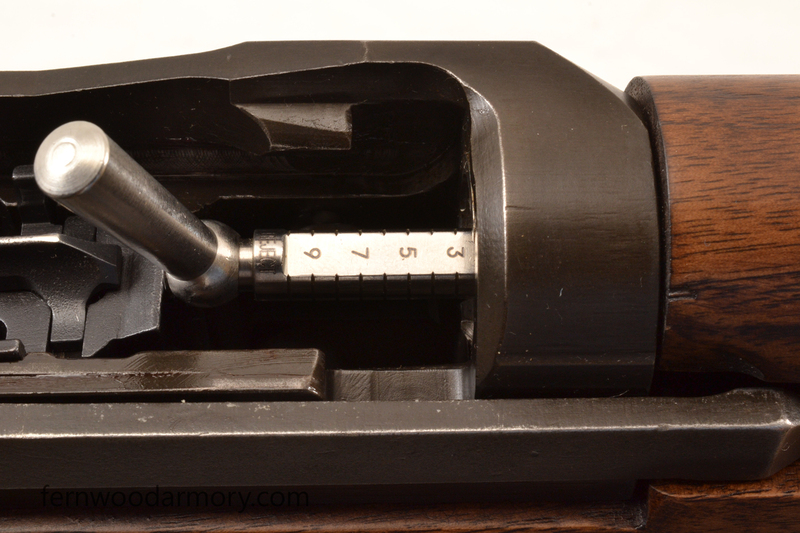 Bore, crown and rifling are excellent. 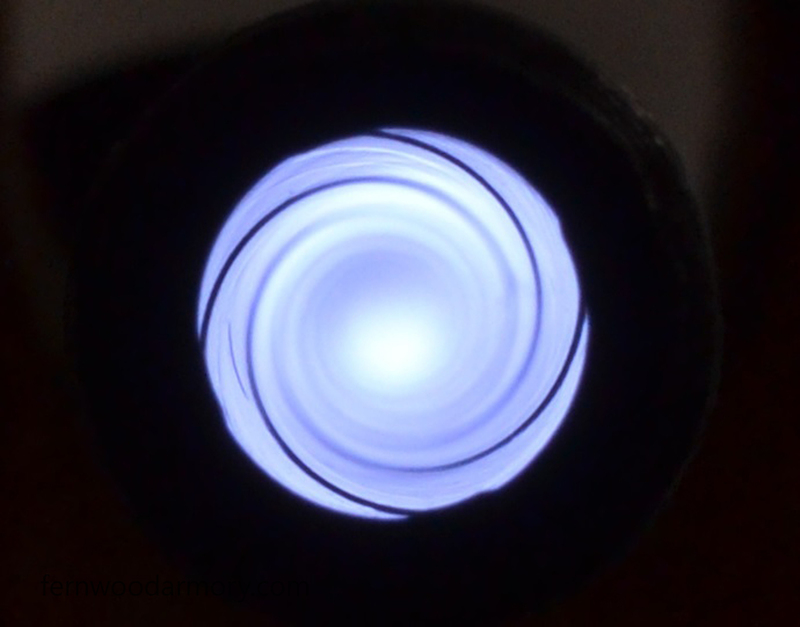 Chrome pads at gas port, chamber in the white. 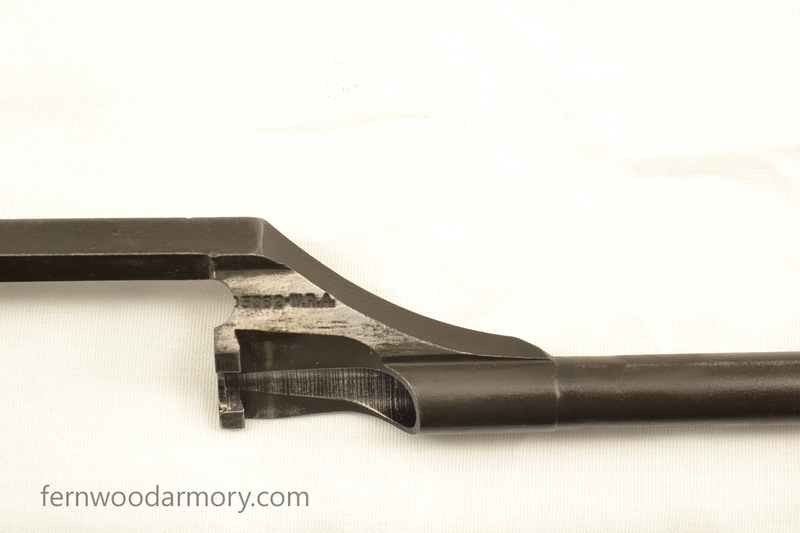 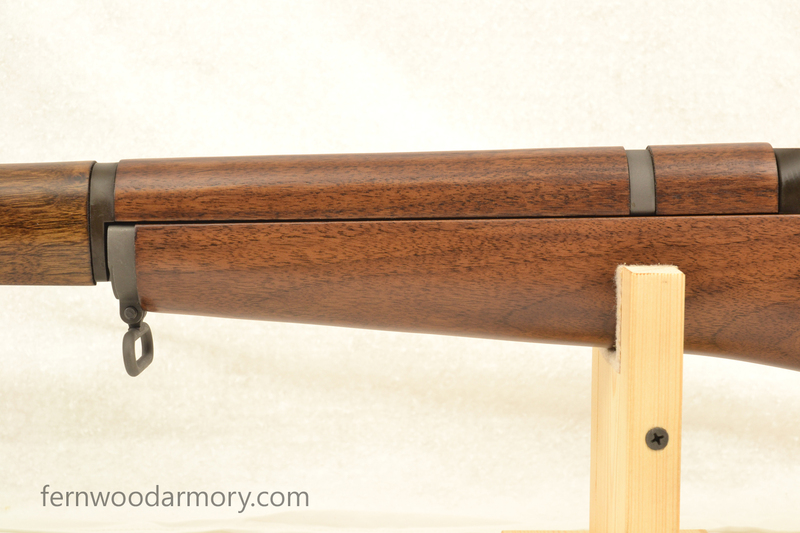 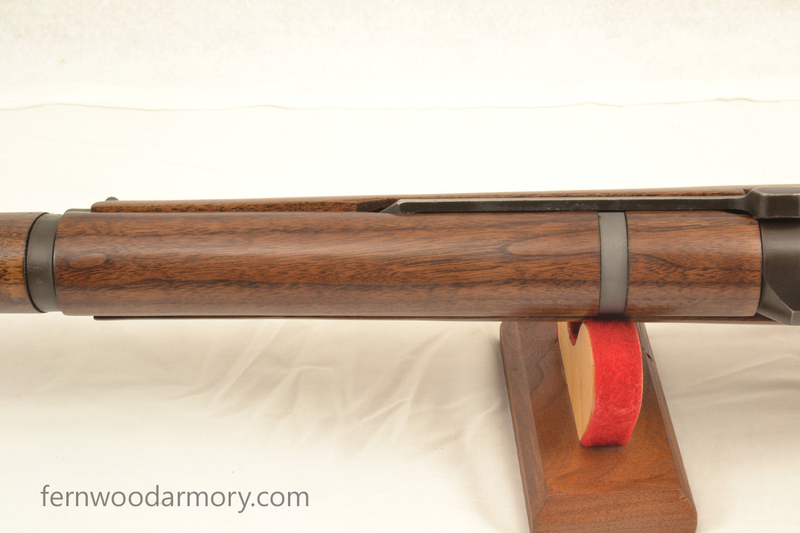 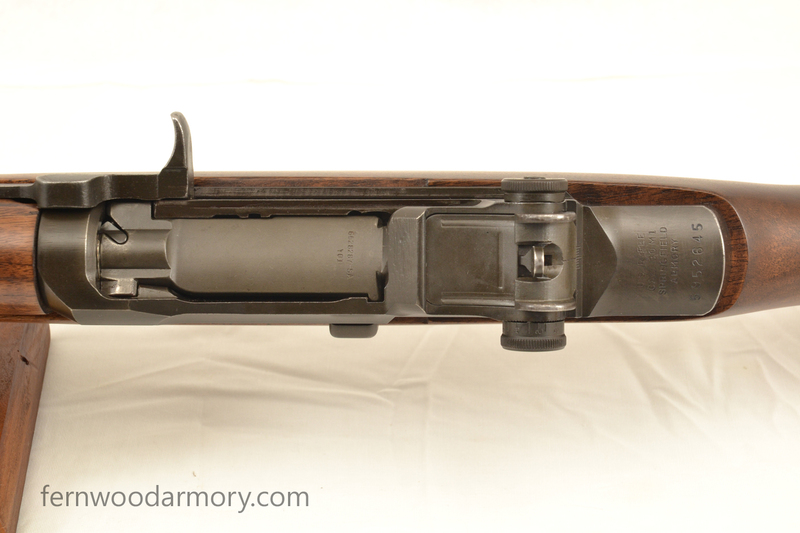 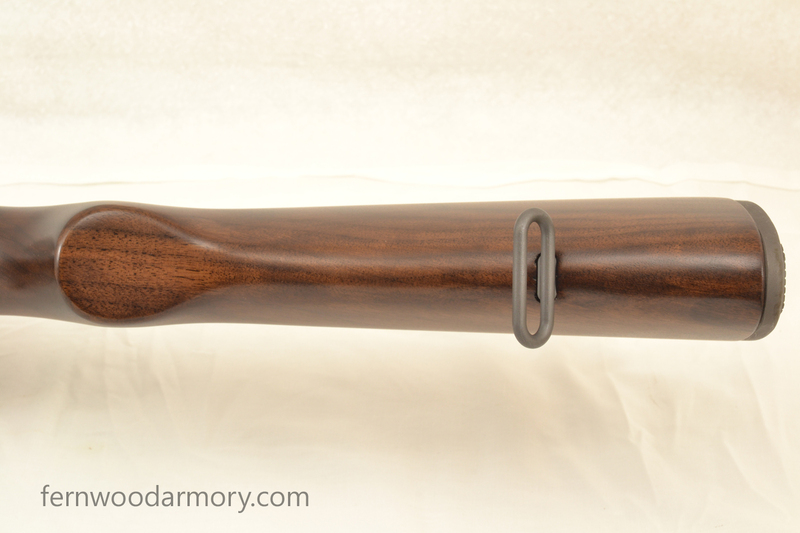 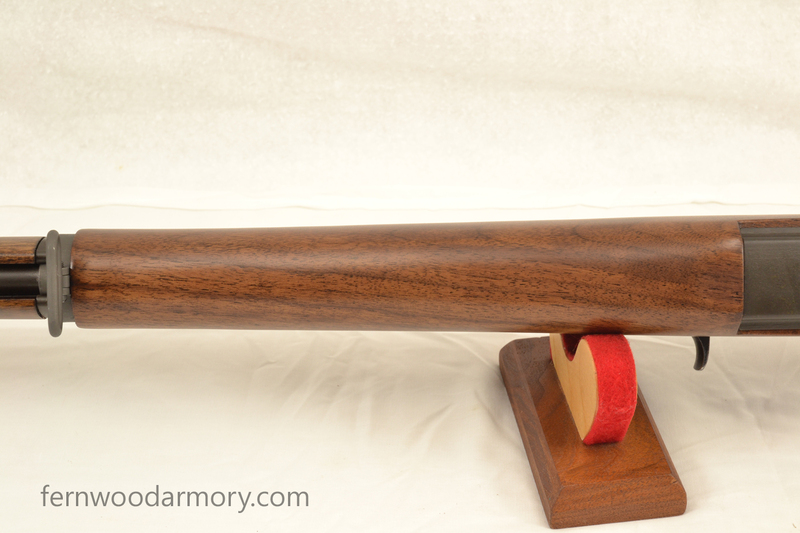 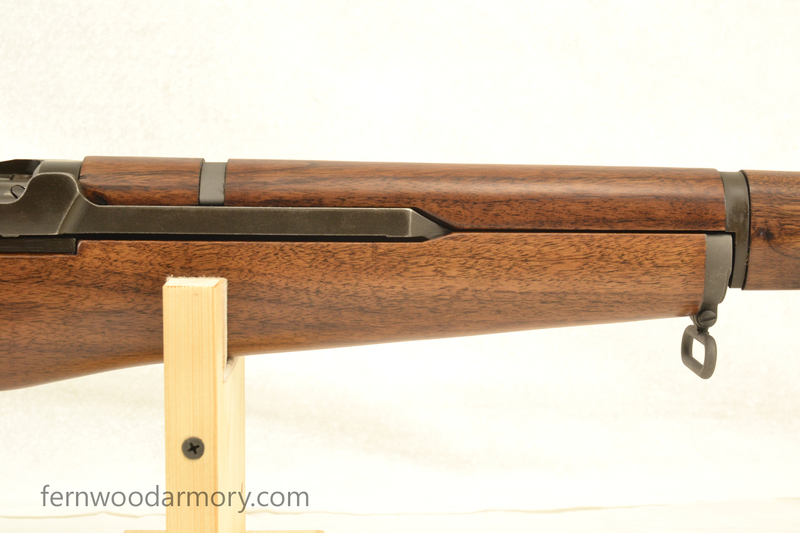 Op rod: slant side Winchester, marked “35382W.R.A.”, modified.